Puparazzi! They serve no pup-pose. Smash those flashy bests we say. Have a terrific toon Tuesday. efurryone has their own kind of pawpawrazzi huh?! Hahaha! You just can't get rid of those darn paparazzi! MOL! Very cute. 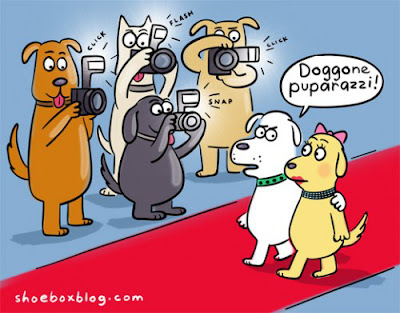 ; ) ...at least it wasn't a dog and a cat walking the red carpet together! Now THAT would cause a stir.